Notes: Common in open woodland, woodland edges, scrub and mature hedgerows throughout England, Wales and southern Scotland. 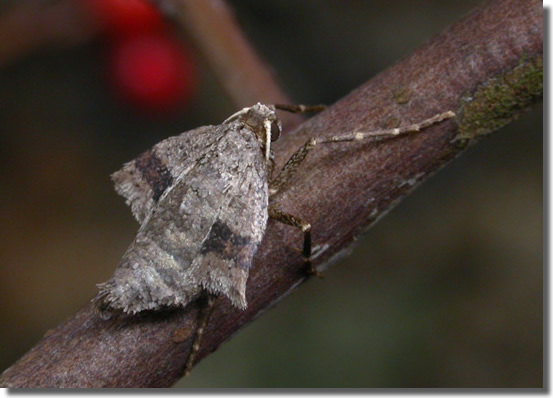 In Hampshire and on the Isle of Wight common to abundant in late winter amongst hawthorn in open country and on the downs. Wingspan male 32-37 mm, female wingless. 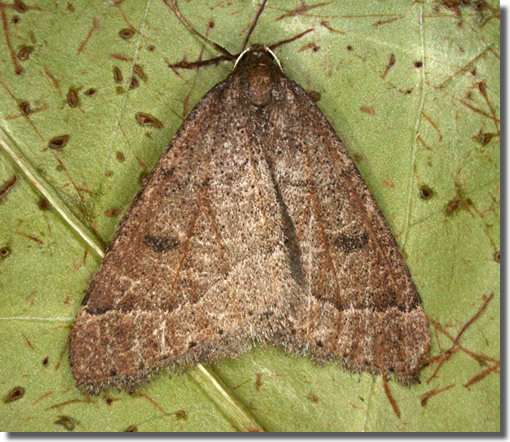 Males could be confused with Sloe Carpet Aleucis distinctata, but Early Moth has straighter distal edge of central band and females have band on vestigial wings. The flightless females may be found sitting on the leafless twigs after dark. Larva feeds on Blackthorn, Hawthorn and Midland Hawthorn.